Not Sure Which Diagnostic Products is Right For You? AllegroMedical.com proudly offers the very best in medical diagnostic products & tools. Whether your needs for diagnostic equipment include pen lights, stethoscopes and thermometers, or even more medical diagnostic products & devices, such as eye and health charts, blood pressure monitors, microscopes, otoscopes, heart rate monitors, body fat analyzers, pedometers, scales and much more, you can find it all here. 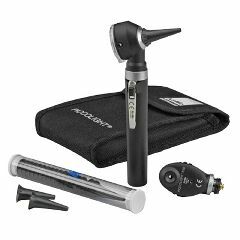 With the very best brands in diagnostic tools & equipment available, including KaWe, Omron, McKesson, 3M and so many others, AllegroMedical.com guarantees only the highest quality diagnostic products, tools and accessories at the lowest prices guaranteed. See our Best Price Guarantee for more details. Want Special Discounts & Coupons on Diagnostic Products and More?